This is a round Approved Laundry porcelain sign. This particular Approved Laundry sign is predominantly beige with a red border around a young woman’s face. 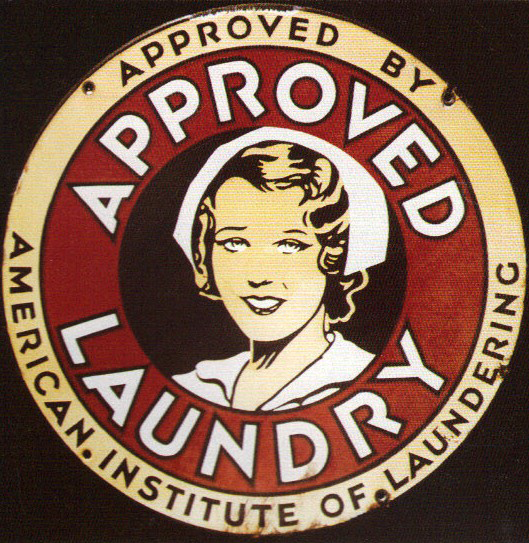 It reads, “Approved Laundry, Approved by American Institute of Laundering”.